One of the reasons we love camping so much is because it's a great excuse for a campfire, which in turn is a great excuse to toast marshmallows. So you can imagine how excited I was when I stumbled on Rocky Mountain marshmallows at Aldi around the start of July. I decide on the spot that I had to take them on our next camping trip, and compare them to our Pascall's marshmallows. Rocky Mountain marshmallows are firmer to eat, not as gooey as the Pascall marshmallows. I still have an almost-full packet of Rocky Mountain marshmallows for our next trip, we'll be comparing them again! 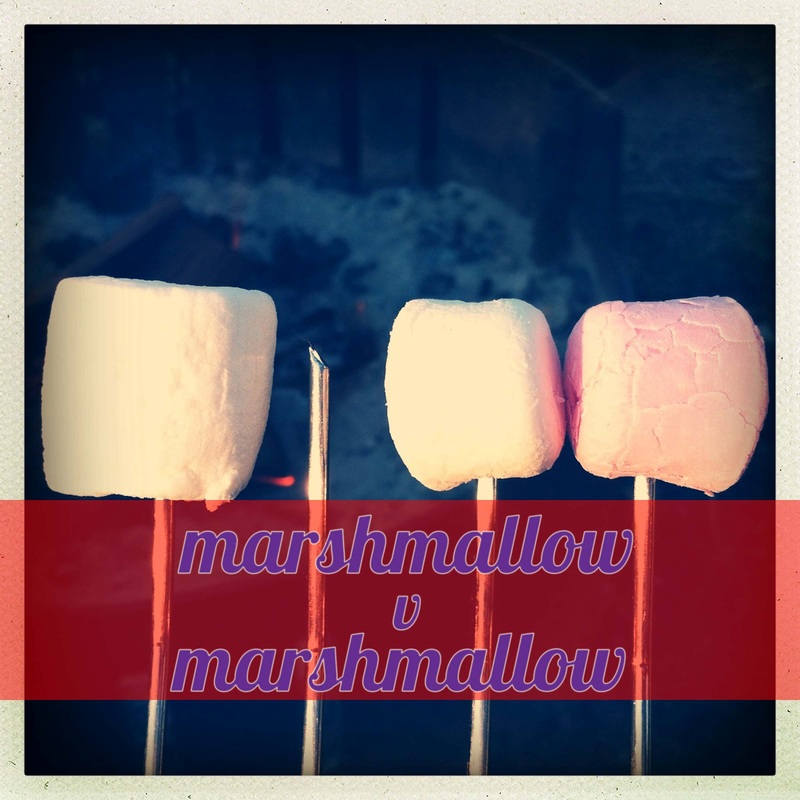 Tell me your favourite way to eat marshmallows, to go in the draw for two bags of Pascall marshmallows. I think American marshmallows are made with corn, as opposed to Australian marshmallows that are made with wheat, which might explain the quicker burn factor.. I don't normally get to eat marshmallows as they dissapear so quickly, but I've always wanted to eat a smores. Did you give it a go when you where camping? If I were the type to worry about what people thought i'd tell you I love them on fruit kebabs, but really I looooove marshmallows dipped in melted dark chocolate with a tiny sprinkle of salt. Don't knock it till you try it! marshmallows and fruit are awesome, but dipped in chocolate is the bomb! I'd never thought to try a sprinkle of salt, sounds interesting! I adore burnt marshmallows, so I would have to try those US ones!